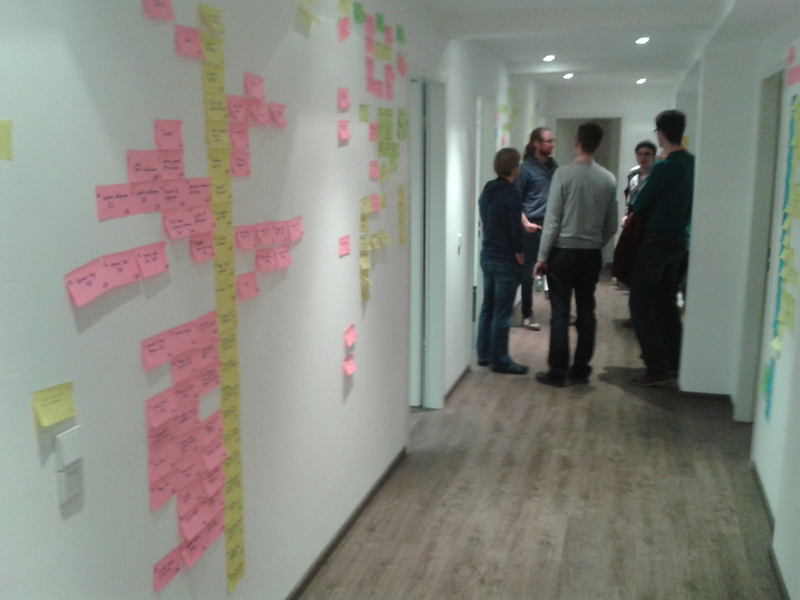 There have also been regular Scrumtisch events and another interesting events like the new Microservices meetup hosted by predic8. Make sure to keep an eye on these events in the future! 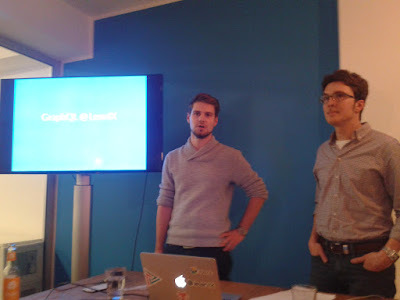 In November Bonn Agile was hosted by LeanIX in the center of Bonn. LeanIX is a startup focusing on Enterprise Architecture Management, they already have an impressive list of customers. They work with a lot of cutting edge technologies like Facebook's GraphQL (see below). Make sure to take a look at what they are doing! 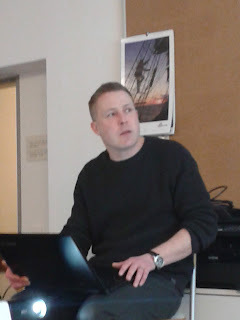 There were three talks, the first was by Gereon Steffens of tarent. He gave an introduction to Redis, focusing on the features that make Redis more than just a key value store, for example super-fast geospatial operations on point geometries, which could very well be used for features like Geofencing. 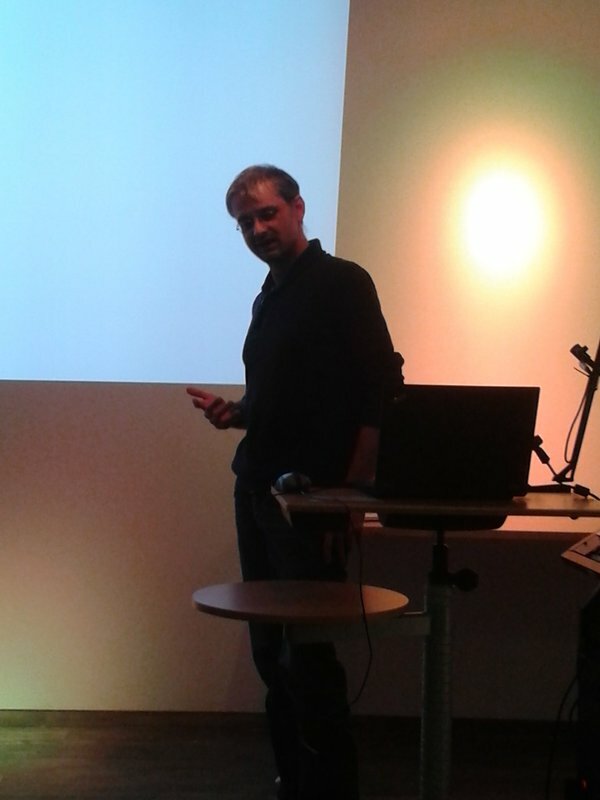 Next up was Sebastian Mancke, also of tarent. He introduced the JSON capabilities of popular databases like SQlite, PostgreSQL and MySQL and compared their performance to each other. JSON is widely supported in the latest releases and the performance is also surprisingly good. Take a look at Sebastian's notes and source code, so you can run the performance tests yourself. 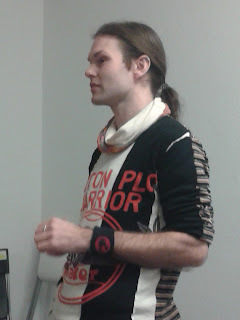 The third and longest talk was by Patrick Surrey and Dr. Niklas Henrich of LeanIX. They introduced us to GraphQL and how it is used in their product. It was interesting to see how it allowed a very flexible frontend that can customize requests to the backend so the exact data portions necessary are returned. They also shared their experience with combining GraphQL with various databases, ArangoDB, ElasticSearch and PostgreSQL. As GraphQL is still a pretty recent product it was really valuable to have insights in real world usage. Slides will be uploaded in a few days! Slides are now online. There were 30+ attendees, and we had a productive dialogue concerning questions that arose from the talks. 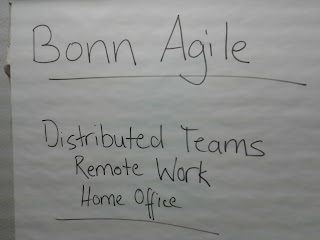 It's great to see that Bonn has a large and high-quality community of agile software developers! 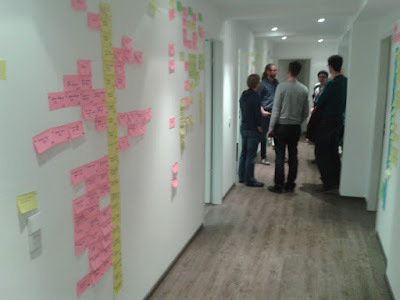 The next meetup will most likely be an organizer's meetup: So if you want to get involved with Bonn Agile in 2017, for example by hosting an event, giving a talk or just want to network and help out (you don't need to invest a lot of time to do so), keep an eye on our Twitter feed and our Meetup page. 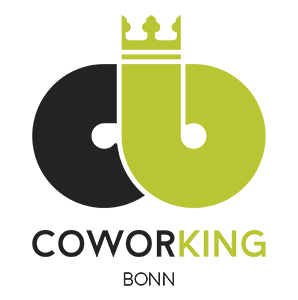 After having talked about Coworking Bonn at the February meetup, Ralph Grundmann invited us to Bonn Poppelsdorf and hosted the March meetup. The location is perfect for a meetup of 20-30 people! 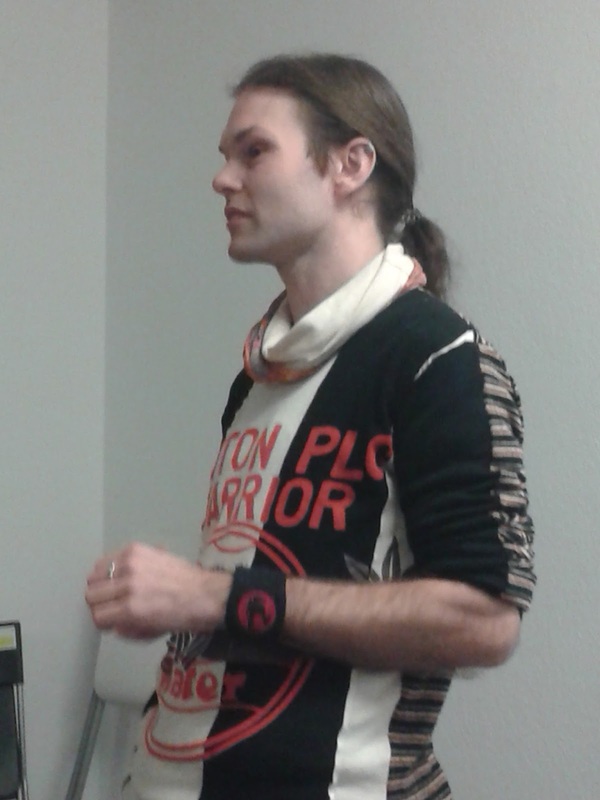 We were also given a tour and Coworking Bonn really seems like an awesome place to work. Check out the website, take a look at some pictures and check the pricing plans. Thanks Ralph for your hospitality! 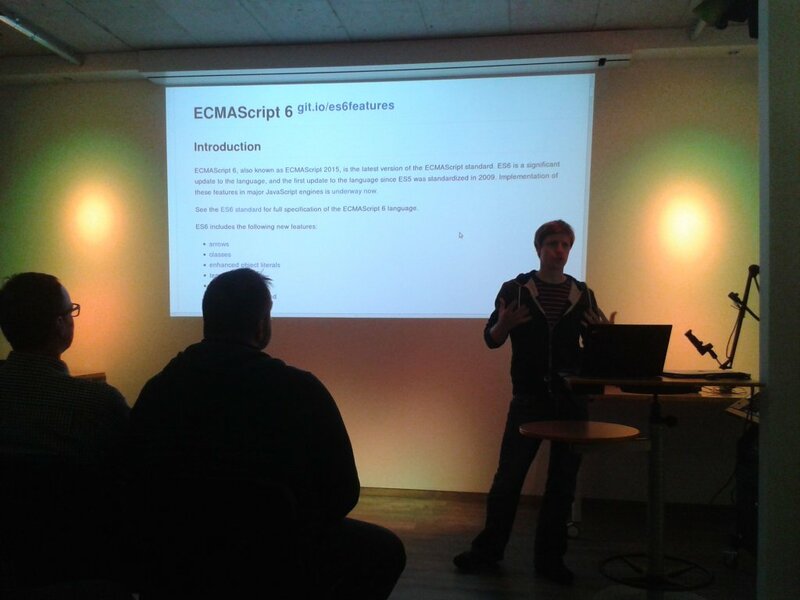 Then Sebastian Mancke talked about ECMAScript6. He showed that the new features are just syntactic changes by transpiling them to ES5 using the Babel REPL. He introduced classes, closures, template strings, modules, and finally showed a private project where he used vue.js. Take a look at his presentation. 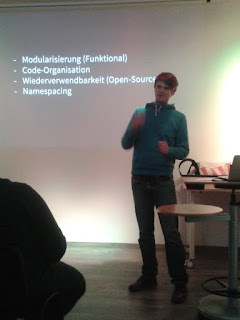 We had about 25 attendees, (some traveled as far as from Dortmund or Mannheim) who eagerly listened to our three talks and discussed intensely. Great to have so many skilled people who contributed to a high-quality dialogue. As Coworking Bonn is located in the heart of Bonn Poppelsdorf, we easily moved the dialogue to the Gesindehaus for another 90 minutes. 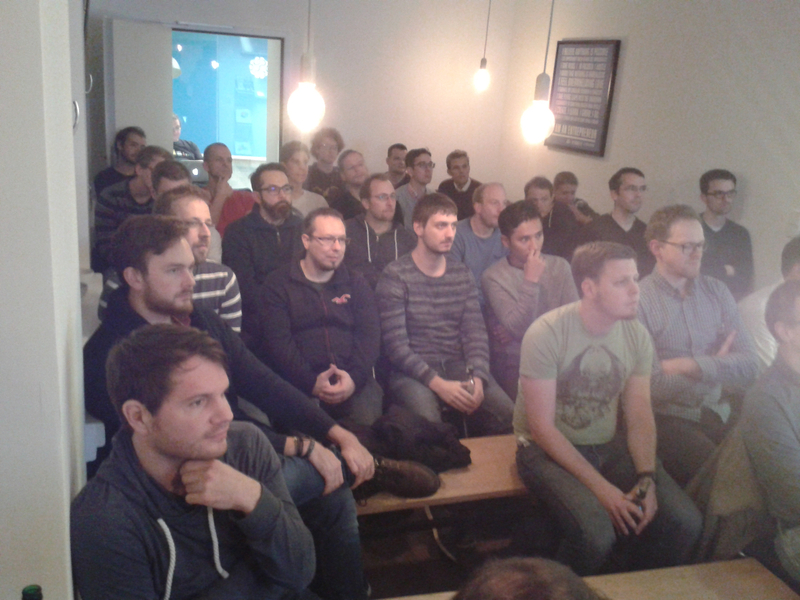 It was totally insightful, great fun and we were happy to see many new faces. 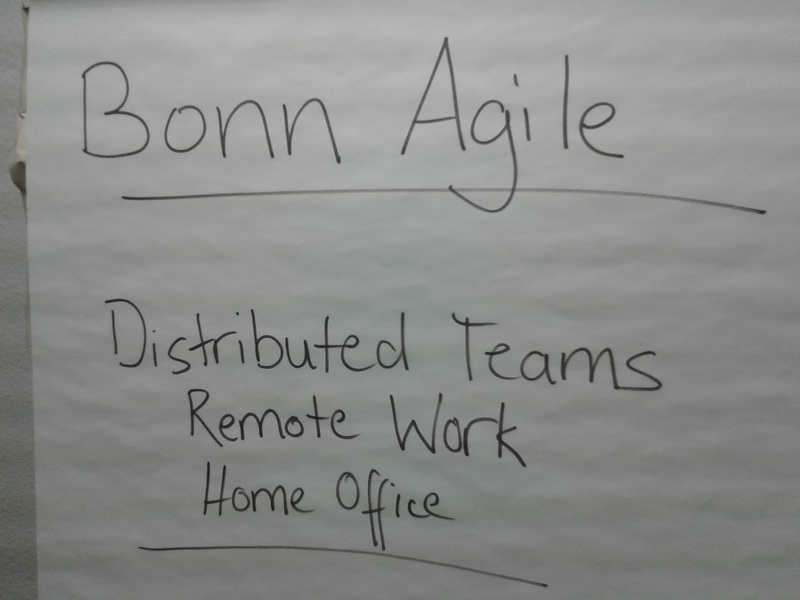 Join us again in April, where Bonn Agile will join Scrumtisch Bonn for a dialogue on the Agile community Bonn. Make sure to follow us on Xing, Meetup and Twitter for the announcement! On February 16th we met at Data In Transit for another meetup, this time about "Distributed Teams - Remote Work - Home Office". The evening started with Fernando Sainz of zeit.io talking about the pros and cons of remote work, with a lot of detailed insights. He concluded that neither onsite work nor home office is exclusively better, a mix would work best. Check out his awesome slides! Next up was Ralph Grundmann of Coworking Bonn, introducing the brand new coworking space in Bonn-Poppelsdorf. He made a point that coworking is more than just renting desks! Check out his presentation to find out more, and definitely check out Coworking Bonn! We will definitely have a future meetup there, thanks Ralph! 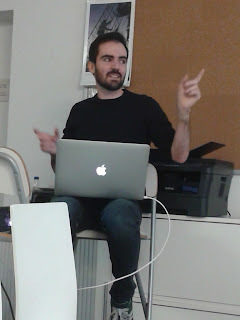 And finally Christian Dywan of Canonical shared his experiences with globally distributed teams in the open source context. He pointed out how cultural differences, timezone shifts and international tax laws affect collaboration and also said how important face to face meetings still are - however not for mundane tasks like coding. A big thank you goes out to Jutta Horstmann of Data In Transit, who is just the most awesome host and an incredibly valuable community builder in Bonn! Drinks, snacks and a great location, we had a perfect evening!